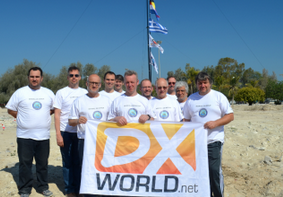 Home DX South America XR0YD – Easter Isl. 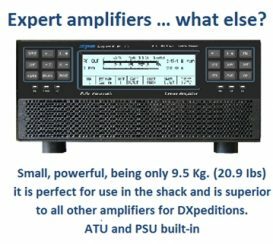 MARCH 14 – Our DXpedition comes to an end. It was a nice experience on the wonderful Isla de Pascua with friendly people and warm temperatures. We enjoyed great pile-ups and are very satisfied with the high number of logged contacts on all bands. FT8 seems to be a great mode for the future with a lot of activity. It allows a deep decoding on each band. We are going to QRT on Thursday (March 15) around 13 UTC. A great THANK YOU to all who have worked us, sorry to all who were unlucky (this time). The log will be corrected when we are back in Germany and OQRS is already opened. Requests to dl4sva@darc.de please. Paper QSL traffic is going to start in approximately 6 weeks. LoTW will follow. MARCH 10 – All team members are in a good shape. The half time of our stay here is over. Our target with 30.000 QSOs is already reached. Pile Ups are still strong. Good to see that there are still operators who have their first QSO with us. We had stormy weather the last days and the 80-m-antenna was damaged but is already repaired. Today we had an unexpected power cut. Since that time the main power isn’t stable anymore. When writing these lines (14.00 Z) we don`t have any power. FT8 seems us to be a good mode for long distance QSOs under unstable conditions. By the way “up” in CW means up 1 and more. Please check our online log which will be actualized once daily. The team is disappointed about so many dupes. Please wait and check the log first! Of course the log will still include some mistakes. Don’t call again some minutes later when you already sent a report. Mostly we are hearing rather well. We are also disappointed about no respect from some guys when we operate the difficult path to Europe. We get several dozens of emails each day. It’s impossible to answer each. Remember also our slow internet connection. Requests for log entries will be checked after the expedition by our manager. MARCH 6 – Pictures from XR0YD. MARCH 4 – The XR0YD team is now nearly 2 days on the air. We have all planned antennas up (18m high vertical for 160m, 18m high vertical for 80m, 15m high vertical for 40m, 10m high loop for 30m and a 5-band-Spiderbeam, so we have three stations with 500 watts to 1 kW running. We are using a Pentaplexer and several band filters to avoid interference. The team is really happy to have enough stable main power for all stations around the clock. There is also enough space for antennas, but it is not ideal for good take-off to the North. The fourth backup amplifier was damaged during transport. The weather is hot during daytime with 28°C. Andy, DH8WR is the only Spanish speaking team member. Together with the ham radio friendly owner of our QTH (Cabanas Honu Nui) he is a great help for us. WiFi is available but slow. 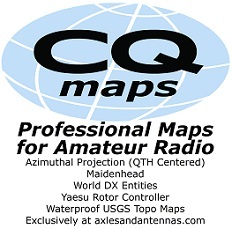 Some FT8-QSOs were done with only 100 watts. The result of bad ham-spirit is quite a number of dupes in this early stage of the expedition. 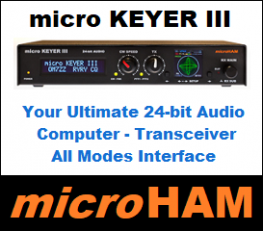 Why do some need second and third QSOs on the same band? These dupe-making stations will get a delayed confirmation by our QSL manager. So, think about ham spirit and give the other stations their chance to work us for the first time. NOVEMBER 30 – XR0YD website now online. NOVEMBER 1 — Herewith our team announces the next DXpedition to Easter Island (CE0Y). This time the group consists of experienced team members Andy, DH8WR, Werner, DJ9KH, Guenter, DL2AWG, Norbert, DL2RNS, Georg, DL4SVA, Paul, DL5CW, Olaf, DL7JOM, Wolf, DM2AUJ, Kalle, DM3BJ and Rolf, DL7VEE. Our call XR0YD is confirmed and the date is March 2-15, 2018. 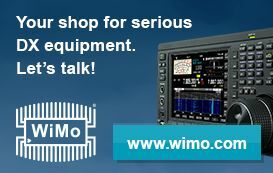 We will use three well equipped stations 24/7 from 160-10 m in CW, SSB, RTTY and FT8.